People think that having pets is a status symbol. That is because the proper pet care can be costly. No worries. All you have to do is to plan in advance so you won’t have to dip into your funds for pet emergencies. This is where being pet owners vs. being pet parents come in. Being pet parents we tend to want the best for our pets. Sometimes, we end up spoiling them. Being a pet owner is not bad. By being an owner, a responsible owner, you have to take care of your pets and have a system in place. It’s the beginning of the year and you might think it is cliché to have a new year’s resolution, then don’t make one. Instead, make a plan of action. To be forewarned is to be forearmed. Here are some tips you might need to put into your plan of action. Plan and schedule your vet visits. Make sure your pets are healthy. Do you know the month they have to inoculated? Make sure you put away the necessary amount ahead of time. For a medium size dog, the going rate is Php450-500 depending on the clinic. It’s 350 for a cat. Don’t forget to schedule a check up every six months just to be healthy. If you know there would be a free vet day in your local community, go there and have your pets checked. Baranggays will have one once a year. Make sure your food intake is the recommended amount. Add fresh veggies. Make sure they eat well. A healthy pet makes visits to the vet less. Do we need to explain this? Impulse buying is something we should curb this new year. Make a piggybank solely for your pet. Put a fixed amount on a fixed day. Ex: Put Ph50.00 every Friday. Make sure to keep to this schedule. 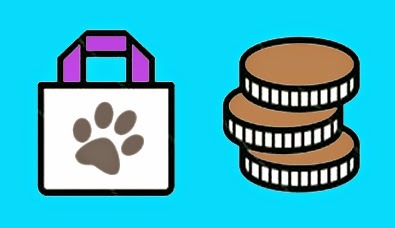 This is your emergency fund for your pet so if something happens, you know where to draw from. Make sure you don’t spend it unnecessarily. This piggybank is only for emergency vet bills.